According to the report by Universal-McCann (2009) on the impact of social media, 71 percent of active internet users read blogs. Blog participation has also increased with more people leaving comments on blogs (an increase to over 50 percent in 2009). The report also shows that over 29 percent of internet users have blogged about a product or brand. According to Technorati’s State of the Blogosphere 2008 report, approximately 133 million blogs (Winn, 2009) were indexed by Technorati, as compared to approximately 70 million blogs in 2007 (Sifry, 2007). Interestingly, the 2008 Technorati report also mentions that a majority of bloggers (54 percent) had advertising on their blogs (White, 2009). Another report by the Pew Internet and American Life Project in 2008 (Smith, 2008), reveals that 12 percent of internet users have created or work on their own online journal or blog, while about 33 percent of all American internet users read blogs. In Europe, around three percent or four million internet users actively write blogs (Forrester, 2006). Blogging has also gained wide acceptance in Asia. Take a look at Malaysia for example. A survey by Microsoft Malaysia revealed that nearly half (41 percent) of Malaysians online are actively blogging (Microsoft, 2006 ). While in China, the number of bloggers is expected to cross the 100 million mark (SinoCast, 2006). The word ‘Blog’ was chosen as the top word of 2004 by Merriam-Webster (BBC, 2004). BTW, Blogs are “interactive websites with posts that are updated frequently and may contain links, images, video or music clips, of interest to its author or authors that are archived and arranged in reverse chronological order” (Mutum and Wang, 2010, p. 249). Explains some of the findings of report from research company Sysomos. I found it quite interesting because the results indicate that there are slightly more Women bloggers as compared to men - similar to my own findings which were unexpected. The State of the Blogosphere 2011 by Brian Solis. The results show that most bloggers were between the ages of 25 - 34 followed by the 35-44 age group. So most bloggers are not teenagers. However, I could not find any good estimate of the total number of blogs around the World - it may be due to the fact that this is simply not possible. BBC. 2004. 'Blog' picked as word of the year [Online]. Available: http://news.bbc.co.uk/1/hi/technology/4059291.stm [Accessed 18 September 2007]. FORRESTER. 2006. Profiling Europe’s Bloggers: What Marketers Need To Know Before Entering The Blogosphere [Online]. Forrester Research. 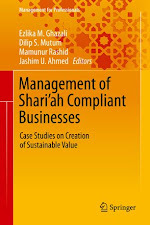 Available: http://www.forrester.com/ER/Press/Release/0,1769,1112,00.html [Accessed 15 July 2008]. MICROSOFT. 2006 Women Rule in Malaysian Blogosphere. Available: http://www.microsoft.com/malaysia/press/archive2006/linkpage4337.mspx [Accessed 25 June 2008]. MUTUM, D. & WANG, Q. 2010. Consumer generated advertising in Blogs. In: EASTIN, M. S., DAUGHERTY, T. & BURNS, N. M. (eds.) 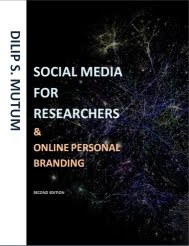 Handbook of research on digital media and advertising. : IGI Global. SIFRY, D. 2007. The state of the live Web [Online]. Available: http://technorati.com/weblog/2007/04/328.html [Accessed 11 September 2008]. SINOCAST. 2006. China's Blog User Base Expected to Approach 100mn Next Year [Online]. AsiaInfo Services Available: http://findarticles.com/p/articles/mi_hb5562/is_200607/ai_n22733639?tag=artBody;col1 [Accessed 18 July 2008]. SMITH, A. 2008. New Numbers for Blogging and Blog Readership. Retrieved March 16, 2009, from http://www.pewinternet.org/Commentary/2008/July/New-numbers-for-blogging-and-blog-readership.aspx/. UNIVERSAL-MCCANN. 2009. Wave 4. Accessed at http://universalmccann.bitecp.com/wave4/Wave4.pdf [Online]. [Accessed 12 December 2009]. WHITE, D. 2008. Day 4: Blogging For Profit [Online]. Available: http://technorati.com/blogging/article/day-4-blogging-for-profit/ [Accessed 12 January 2010]. WINN, P. 2009. State of the Blogosphere 2008 [Online]. Available: http://technorati.com/blogging/article/state-of-the-blogosphere-introduction/ [Accessed 12 July 2010]. 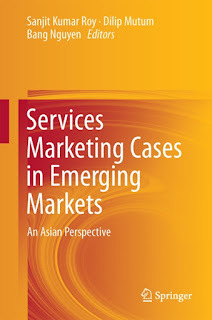 The ABS Marketing Journals List 2018 is now out. The 2015 ABS journal guide (now called the EAJG Journal Guide) rankings of marketing journals here. It should be noted that Advances in Consumer Research (2*) is not actually a journal but proceedings of the Association for Consumer Research conferences. However, AMA Educators' Conference Proceedings which is ranked 29nd by Hult et al (1997)2 is not included in the list. 2. Hult, G. Tomas M., William T. Neese, and R. Edward Bashaw (1997), "Faculty Perceptions of Marketing Journals," Journal of Marketing Education, 19 (1), 37-52. Tweet Pleshko, L. P., and Heiens, R.A. (2008). The contemporary product-market strategy grid and the link to market orientation and profitability. 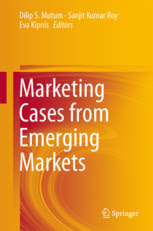 Journal of Targeting, Measurement & Analysis for Marketing,16, 2(March), 108-114. Akan, O., Allan, R.S., Helms, M.M., and Sprals III, S.A. (2006) Critical tasks for implementing Porter’s generic strategies. Journal of Business Strategy, 27, 2, 43-53. Gurău, C. (2007). Porter's generic strategies: a re-interpretation from a relationship marketing perspective. Marketing Review, 7, 4(Winter), 369-383. Nicovich, S.G., Dibrell, C.C. and Davis, P.S. 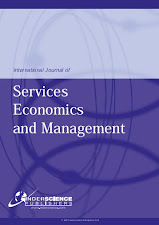 (2007) Integration of Value Chain Position and Porter’s 1980 Competitive Strategies into the Market Orientation Conversation: An Examination of Upstream and Downstream Activities Journal of Business and Economic Studies, 13, 2( Fall), pp 91-106. Bridges, E., and Freytag, P.V. (2009). When do firms invest in offensive and/or defensive marketing? 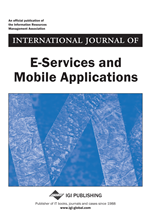 Journal of Business Research, 62,7( July), 745-749. Ormanidhi, O., and Stringa, O. (2008) Porter's Model of Generic Competitive Strategies. Business Economics, 43, 3(July), 55-64. McDonald, M. (2006) Strategic Marketing Planning: Theory and Practice, Marketing Review, 6, 4(Winter), 375-418. Keegan, W.J. (2004) Strategic Marketing Planning: A Twenty-First Century Perspective , International Marketing Review, 21, 1, 13-16. Wilson, H. N., and McDonald, M.H.B. (2001). An evaluation of styles of IT support for marketing planning. European Journal of Marketing, 35, 7/8, 815-842. “Strategic Marketing Planning” by Colin Gilligan and Richard S. Wilson (2003) Oxford: Butterworth-Heinemann – Chapter 12: The Formulation of Strategy 3: Strategies for Leaders, Followers, Challengers, and Nichers, 517-592. Chapter 1: Competitive Strategy: The Core Concepts, 1-32. “Marketing Strategy and Competitive Positioning” (4th edition) (2004) by Graham Hooley, John Saunders, and Nigel F. Piercy London: FT-Prentice Hall Chapter 11: Creating Sustainable Competitive Advantage, 301-334. “Principles and Practices of Marketing” by David Jobber (2007) (5th edition) Berkshire: McGraw-Hill – Chapter 20: Competitive Marketing Strategy, 809-846. McDonald and Adrian Payne. Oxford: Butterworth-Heinemann – Chapter 3: Marketing Planning for Services: The Process, 37-48.